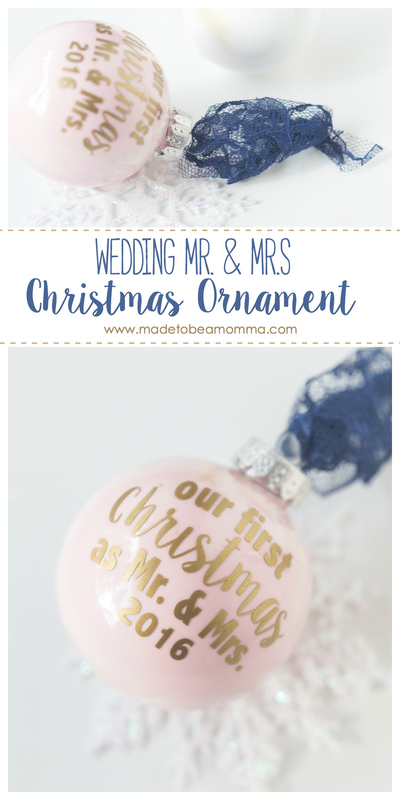 Wedding Ornament: the perfect christmas ornament for the newest Mr. and Mrs.
One of my favorite traditions during this time of the year is pulling out all of our ornaments that we have collected over the years. One of my sisters got married just a few weeks ago and I decided to make a special christmas ornament to help start her collection of ornaments that her and her new husband can enjoy. I made her ornament to match her wedding colors. I tied a navy lace blue piece of fabric on the top, which was a piece of the lace material used for my daughters flower girl dress. It’s such a sentimental gift that I hope she will enjoy for the years to come. First I poured a small amount of paint into the ornament. I like to add two colors at a time for a fun marbled look, but one color looks great too! I also like to add just a touch of water to help the paint move around easier. Make sure you don’t add too much water or the paint won’t stick nicely to the inside of the ornament. 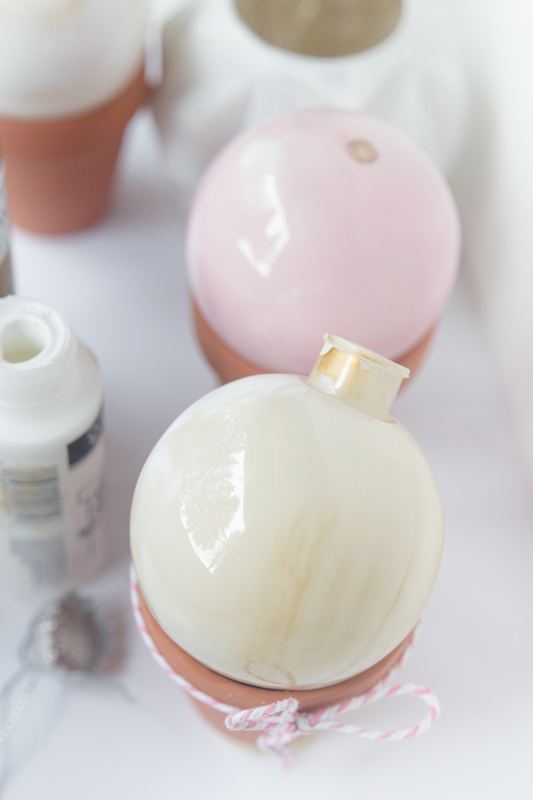 Once you add the paint just cover the opening with your finger and shake until the ornament if fully covered. 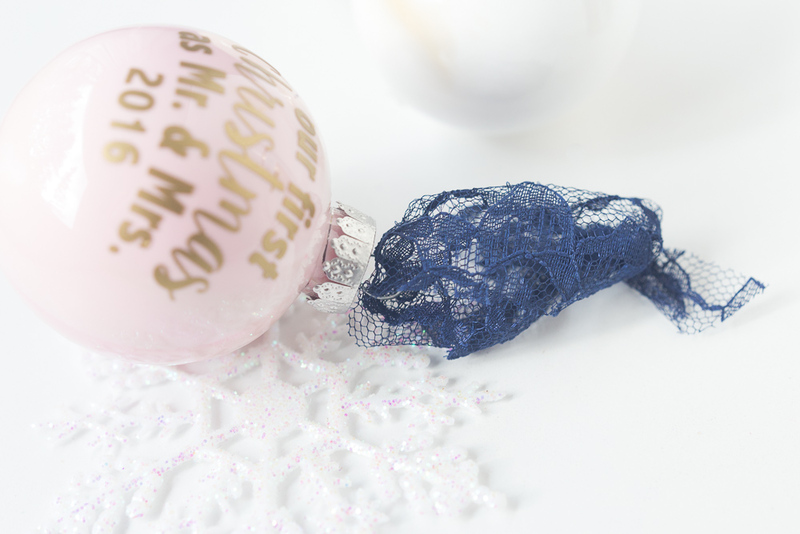 Allow your ornaments to dry for a few hours or even overnight. You can place them upside down so any excess paint can drip out. 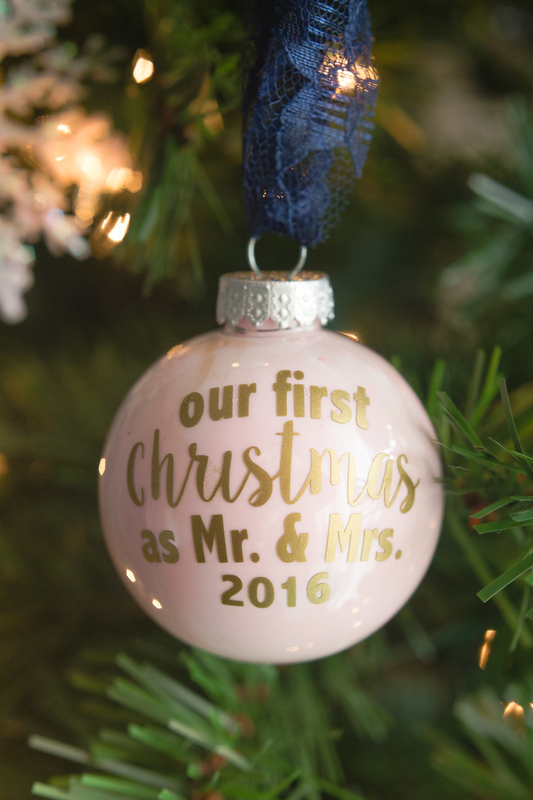 I used this gorgeous gold vinyl from the Christmas Theme Pack and created the words ” Our First Christmas as Mr. & Mrs 2016″ on my silhouette machine. 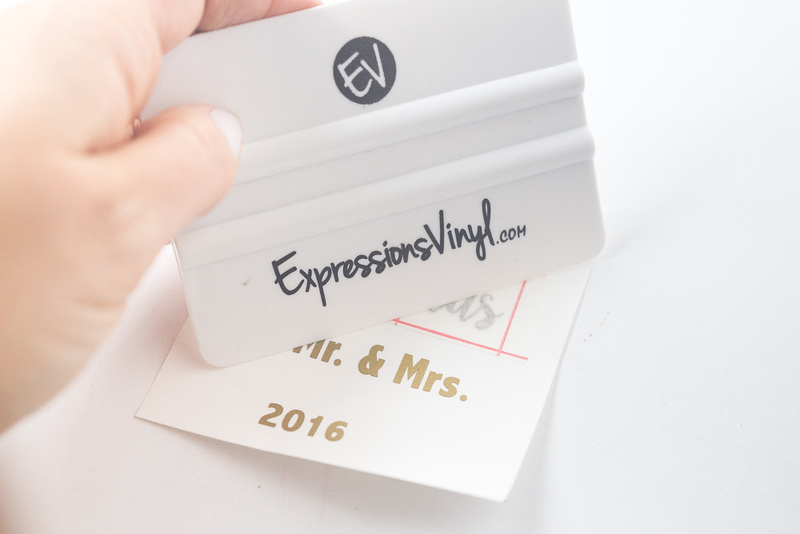 You can also use a hold punch to cut out your vinyl or even scissors if you want to do simple shapes. I used the transfer paper to help transfer my delicate words from the vinyl to the ornament. Sometimes working on a rounded surface can be a little tricky but if you go slow you shouldn’t have any problems! I love the added touch of lace. It really brings together the look of her wedding day. 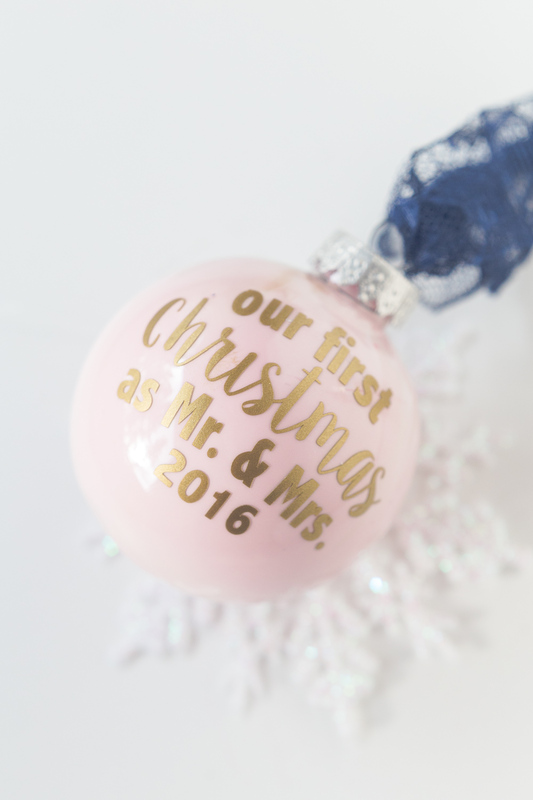 This ornament was so simple but makes such a great gift! 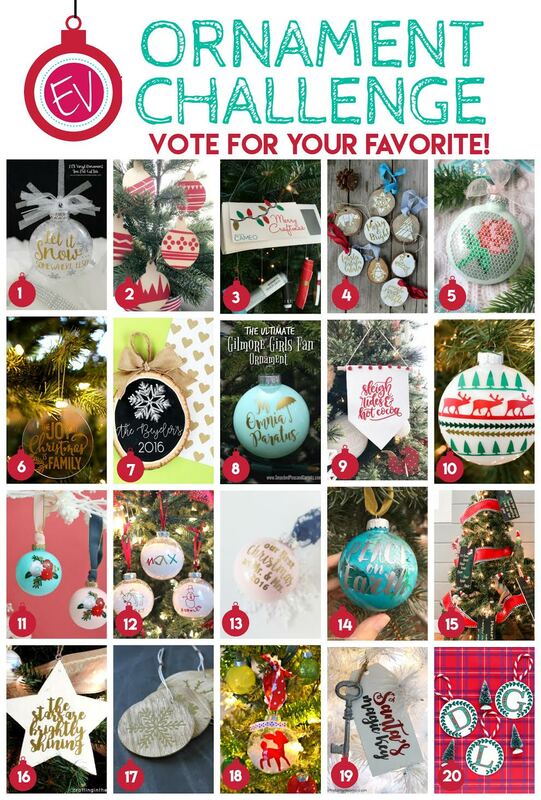 You can add your own twists and make your ornaments for a “Baby’s First Christmas” or “A Couples First Home” and so many other important events and occasions. 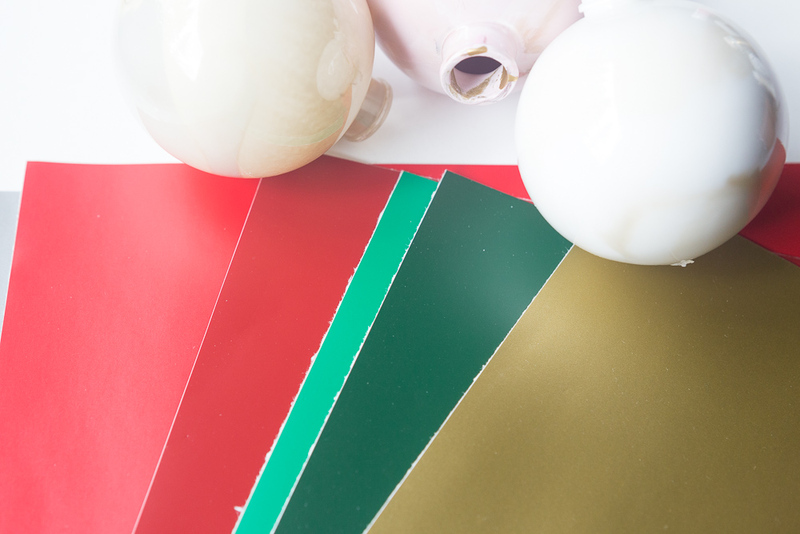 You can tailor the colors to match any home decor too! The ornament is adorable. My goddaughter got married a week ago I would love to make her one. Would you share or sell the file?